AFS is in a convenient location. I would recommend AFS to everyone. It is very clean, the staff is friendly, it has 3 different locations for everyone's convenience. 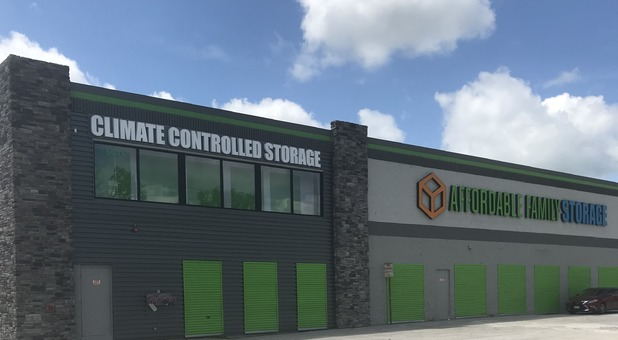 The security measures are more than sufficient for a storage unit, I feel very safe and comfortable with my most precious belongings stored there. I would also like to mention Jess. Jess is a very motivated, friendly and courteous person. She makes it a point to always say hi and ask me how my day has been so far. So, thank you very much AFS. Stopped in this morning just to see, walked out with a unit. Jess was super helpful,pleasant and very accommodating. Would definetly recommend this place. Love this new facility. It is bright, clean, safe, and finally affordable. Climate control will keep my belongings intact and non-damaged. Unlike my previous storage facility where my belongings had bugs or rodents and water damage from a leaky roof. Really appreciate the staff and the affordability of my storage area. I just want to say that Jess was VERY professional and personable on my initial visit as well as my last one when I signed the contact for the unit. She made sure that I got what I needed and was happy. Thanks Jess you are APPRECIATED!! Great customer service, very clean and convenient. Instead of raising prices, they went out of the way to help flood victims!! Very friendly staff. clean storage with affordable price! Best in town. Thank you! I would definately recomend this facility. I recently relocated and needed a storage unit in a hurry. The employee at this location was very accommodating, finding me a unit the same day I came in. Climate control and very clean. No one was in the office and the sign said it was open. Been waiting here for over an hour. Its 3 PM now and they're open until 6. Called customer service 4 times and they couldn't get ahold of anyone working. Was looking for a storage and came across this one while driving. Love the space, customer service is wonderful, and I was given a unit in a timely manner. Love the convenient location and cleanliness.